I noticed that some people using wacom tablets find the stylus version of the right-mouse button to be a little clumsy. Since maya makes extensive use of right-mouse-button menus I wanted to see if I could find an alternative. As luck would have it, Roger Klado had already figured it all out and written it up in great detail, so all I had to do was extract the bits I needed and put them into a mel script. Run it and you'll find that CTRL+LeftMouseClick invokes the same behaviour in the viewport as the RightMouseClick. So for a stylus that would be CTRL+penDown instead of hover+sideButton. Some people may find this easier or more direct. Let me know if you do. I don't use a stylus, so I'm interested to hear your thoughts. Look for djObjMenu.mel on my downloads page. Update: I've realized that CTRL+LeftMouseClick is normally used in component mode to deselect things. If you run djObjMenu from userSetup.mel then you'll lose the ability to deselect components (unless you want to use Shift-LeftMouseClick to toggle them). Therefore I think it would be better to run djObjMenu from a shelf button, to be used when you are animating rather than modeling. Then restart maya to revert to normal. I'm going to look into making the script detect whether the context is component mode to avoid the conflict, but that may take me a while to figure out. I'll have to read Roger's instructions again! So, I've edited my original post to remove the suggestion about userSetup.mel, which I've replaced with a shelf button suggestion. Apologies if I confused anybody. When building shader networks in the hypershade window it is common to drag-and-drop one node onto some attribute of another. When you do this maya attempts to guess the type of connection you are making. If you drag a texture or a material onto a color attribute then maya will automatically connect either the .outColor or the .outValue, depending on the node type. 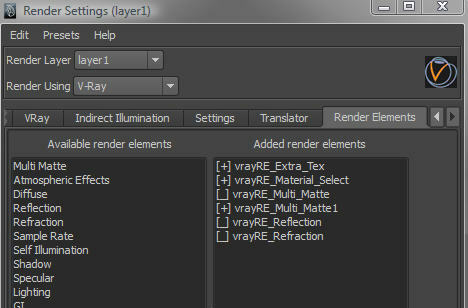 There are other default connections for other types of attributes but if maya can't figure out what to do it opens the connection editor and leaves it for you to make the connection manually. There is one notable case that seems to confuse people - mia_material_x and mia_material_x_passes. 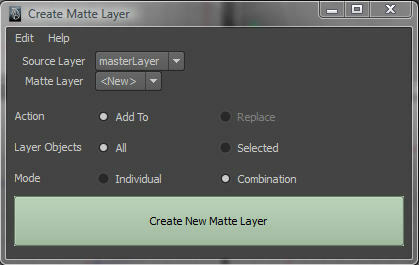 For example say you want to layer mia_material_x over another shader using mib_color_mix or mix8layers. If you drag-and-drop the mia_material_x onto one of the color inputs instead of connecting as you might expect, up pops the connection editor. 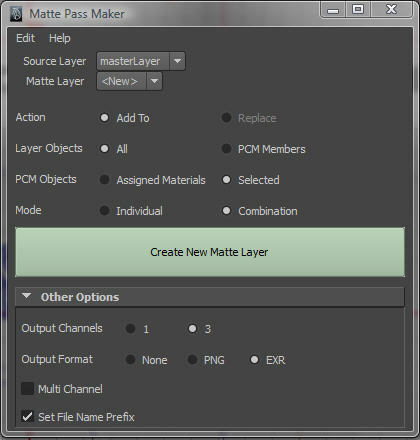 If you've done this before then you probably know that you simply need to connect mia_material_x.result, but wouldn't it be great if maya was able to do that automatically, and skip the connection editor? // you to redefine the behaviour of drag and drop. Well that's what I've done. Three lines of code was all it took! Now dragging mia_material_x and mia_material_x_passes works just like the other materials. You can download my modified connectNodeToAttrOverride.mel from my downloads page.